PonderWonders: I'm Having An Affair, Oh My! Hola Readers! It seems to be the Friday of LOVE & SHARING! Of mingling and making new friends here on PonderWonders. I did not intentionally plan it this way, it just happened and I'd like to make a clarification in order to avoid any uncomfortable bumps. Somewhere, somehow I mis-organized my calendar events and bilaterally committed myself to two events resulting in to having an affair. An Aloha affair! But, I'm feeling it really doesn't have to be a problem (I'm hoping). After realizing it, I had to make a quick decision and I chose to comply with both of my commitments. It was my mistake and felt one event did not have to suffer over the other, so I take full responsibility and publicly apologize to both Jean and Nicole and to all of you for any inconvenience or confusion my mistake in event planning may cause anyone. I set both events to publish as far apart (time-wise) as my commitment allowed. I'm sure both hosts work hard to bring these events to us, therefore, in hopes of smoothing out any bumps, alleviate any confusion and give credit where is due, please know that the Aloha Friday Blog Hop hosted by Jean of What Jean Likes is a completely separate event from that of An Aloha Affair hosted by Nicole of Local Sugar Hawaii. At the end, it really just means MORE loving, supporting & sharing, MORE meeting new awesome people and making new friends! So how bad can that really be? right? I am hoping y'all see it that way too and I am forgiven. On a more cheerier note, it's Friday people!!! Yaaay!!! And I wish everyone a wonderful, wacky and whimsical weekend!!! Now, let's go have some fun and just get jiggy wit it! To fill our beautiful walk together with even more aloha we're starting off with a sweet December giveaway. A wonderful opportunity to share you and your wonderful projects. A Holiday gift to you, from our beautiful December team. Wanted to invite you to my blog to check out a sweet donation event I've got going on, Cans For Comments. Myself and a few other ladies I've teamed up with are donating items to our local communities for every comment/new follower we receive, starting today. Love to have you join! Thanks a lot for hosting. I am a new Follower from Jamaica. Have a great weekend. You are bursting with aloha here. Thank you for being a part of our beautiful team, how sweet it is to walk through this month, together. 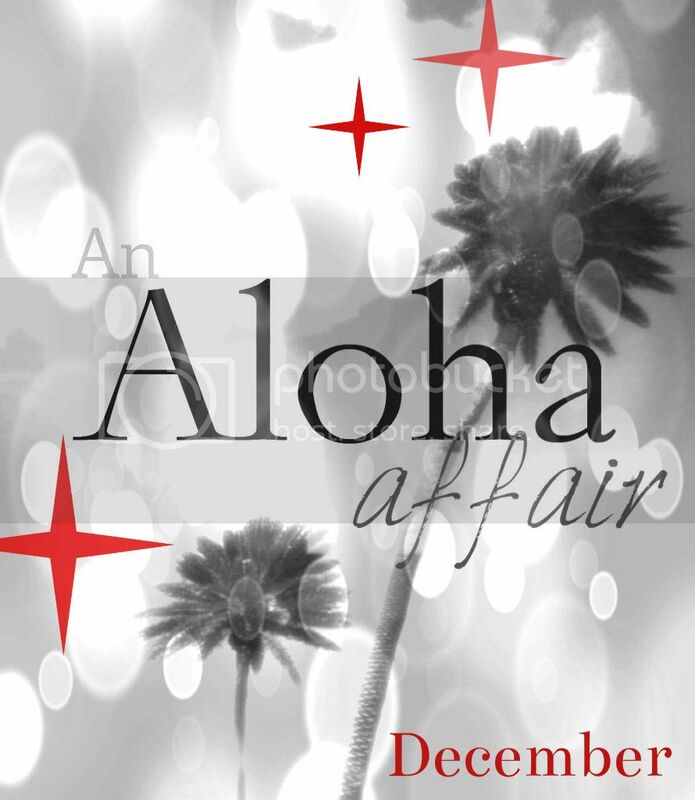 New follower from the Aloha Affair blog hop. Just wanted to say hi. Check out my blog sometimes if you want. New follower hopping over from an Aloha Affair, have a great weekend! congratulation!!! having affair is nothing but maintain is the main responsibility of the both parties.